The Golden Globes are known for being the first group to rush to the new shiny show year after year. Only a handful of comedies have pulled off a second win – in fact it’s been eight years since the last comedy comedy pulled this off when Glee won. Now there are two recent winners competing for their second seasons in a redo of this year’s Emmys between The Marvelous Mrs. Maisel and Atlanta. However, they do face tough competition from a handful of new comedies that deal with the entertainment industry in various ways. The Marvelous Mrs. Maisel is the quintessential Golden Globes contender. That’s what makes it the undeniable front runner even if it just won last year. The infectiously upbeat and sincere Amazon streaming dramedy felt like a small discovery when it premiered last winter, and the HFPA was ecstatic to be the first group to reward it. After the comedy went on to nearly sweep the Emmys with eight wins, Globes voters will definitely want to reward the second season as a way to remind everyone they celebrated the show first. The second season doesn’t premiere until next week, but the early reviews have overwhelmingly positive and the trailer seems to promise an even more vibrant season. The first season of Atlanta was one of the rare shows that won over critics, the Emmys, and HFPA voters and in a lot of ways the Donald Glover comedy represented a new age of comedy. The second season pushed the limits of comedy even further with episodes like “Teddy Perkins” and “Alligator Man” making Glover one of the most essential voices in television today. Glover will certainly be nominated again in the lead actor race but it will be interesting to see if voters bring the show back again or if they’ll instead move to more accessible and traditional comedies. Black-ish out or if they’ll instead choose to focus on sitcom reboots that have dominated the news recently like Murphy Brown or The Conners. Last year Will & Grace became one of the most nominated shows in Golden Globes history as well as the ceremony’s biggest loser with 29 overall nominations and zero wins. In its second season there isn’t as much excitement for the reboot as there was last year but voters might feel compelled to throw some love to a comedy they clearly love but has somehow escaped a win year after year. If anyone from the main ensemble is nominated this year Debra Messing is the most likely since Grace’s romance with David Schwimmer has been the strongest arc this season. Two of the biggest new comedies for a spot at the Golden Globes are surprisingly connected by similar characters played by veteran actors portraying aging Hollywood acting coaches. Barry has already proven to be popular with industry voters, and Henry Winkler finally won the first Emmy of his career. Barry also stands out for its odd tone and ability to somehow make the overused industry comedy story and mix it into the world of a hit-man. Netflix’s The Kominsky Method on the other hand will be a lot fresher in the minds of voters and has been praised for being so creatively different than the rest of Chuck Lorre’s library of comedies. Whether one or both is nominated in the series category it’s safe to assume both pairs of actors (Bill Hader & Henry Winkler and Michael Douglass & Alan Arkin) are major contenders in the acting categories. Kidding is one of the hardest new comedies in 2018 to gauge. The Showtime dramedy stars Jim Carrey as a Mr. Rogers-esque figure dealing with the death of his teenage son and the end of his marriage. 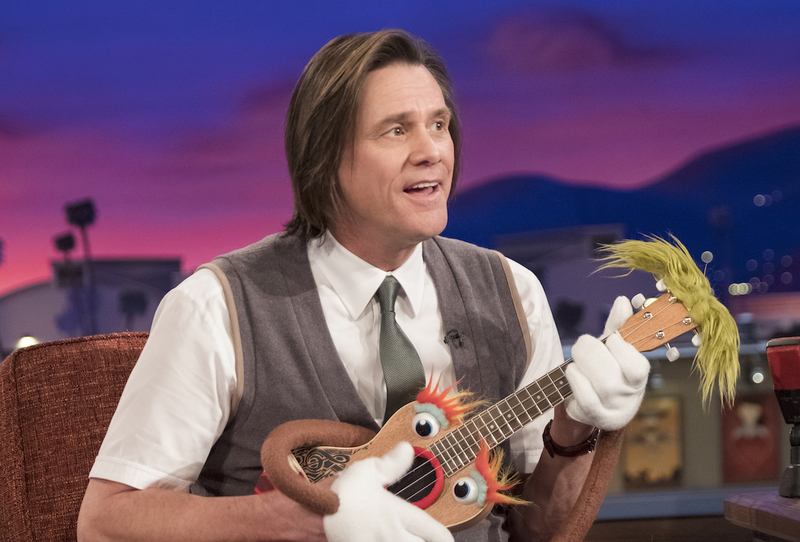 This is Carrey’s first major work in television since In Living Color and his second collaboration with filmmaker Michel Gondry after Eternal Sunshine of the Spotless Mind. In a lot of ways Kidding is an uncomfortable watch, and that’s what makes it one of the most interesting new shows of the year. Carrey also delivers his best performance in over a decade one that plays with his own persona in many ways. The only question is whether or not the HFPA will love a show like Kidding or gravitate towards something more palatable. The Good Place broke into the awards conversation earlier this when Ted Danson and Maya Rudolph earned Emmy nominations. As the afterlife comedy grows more and more popular it has a chance to break big at the Emmys, especially since NBCUniversal doesn’t have any other major new players this year. The Good Place, Kristen Bell, and Ted Danson have the opportunity to follow in the footsteps of past comedies and stars like Brooklyn Nine-Nine and Parks & Rec even if they struggled at other awards groups. 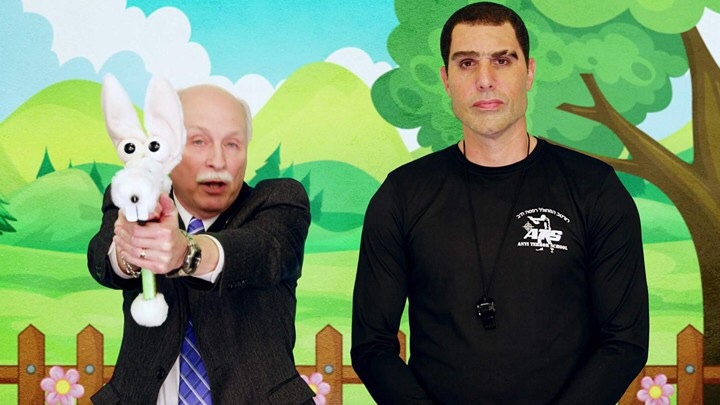 Variety performances don’t have a strong track record at the Golden Globes but this year that might change with Sacha Baron Cohen entering the comedy actor category for his new comedy Who Is America?. In his new Showtime comedy Cohen satirizes different aspects of our current political climate including a far-right YouTube conspiracy theorist to a granola gender studies professor at Reed College. American critics were mixed on the first season but a group of international critics are much more likely to warm up to Cohen and his take on our current political climate that is dominating the international news cycle. Jennifer Garner seems like a clear Golden Globe contender as an A-list actress and former Globe winner in her big return to television in HBO’s Camping. Her performance as an overbearing 21st century mom is one that she has perfected in film but one we haven’t yet seen in television yet from her, and audiences have been tuning in strictly for her. What complicated her chances of a nomination is that Camping as a show hasn’t been received well by critics or audiences. With goodwill and star power on her side though she still has a good chance of a nomination. Gael Garcia Bernal has been nominated for every season of Mozart in the Jungle and in a lot of ways he is the quintessential Globes nominee. He’s a handsome foreign actor with a lot of indie cred on an under-the-radar streaming dramedy. Now that the Mozart in the Jungle is in its final season they might want to reward Bernal with one final nomination or they might choose to move on especially since the last episode first streamed nearly a year ago. The original run of Murphy Brown earned Candice Bergen 8 Golden Globe nominations making her one of the most nominated actresses in the category second only to Carol Burnett. Now that Murphy Brown has returned the legendary actress might be welcomed back into the race. Reactions to the reboot have been mixed but there has been universal love for Bergen and goodwill for her after the surprise hit Book Club might only help her. Constance Wu and Tiffany Haddish are two actresses that might get a surprise boost in the TV categories after becoming box office juggernauts. A year and a half after Girl’s Trip Tiffany Haddish has had a string of goodluck at the box office and although none of them are getting much awards attention voters might choose to celebrate her career as a whole for her performance in TBS’s The Last OG. For years Constance Wu has given one of the most underrated comedic performances on television as Jessica Huang on Fresh Off The Boat. She is a nearly guaranteed contender for Crazy Rich Asians but if there is enough love for her in her breakout year the HFPA might try to double-nominate her. Netflix doesn’t have a lot of new comedies in the awards conversation this year which makes 2018 the perfect year for voters to take a second look at One Day at a Time. The remake of the Norman Lear classic is one of the few remakes to earn its relevancy. On top of having one of the best family ensembles on TV the comedy tackles current issues in a manner that never feels preachy. Justina Machado deserves to be in the lead actress race alongside the usual nominees for portraying motherhood in a way that hasn’t been done yet on television.
" All we wanted it to be was as good as we could possibly make it." Michael Kelly talks Season Six and his character arc in House of Cards.